This article was first published in the Spring 2016 issue of The Newton Conservators Newsletter. The cutting, digging, and plant-pulling tools that I use for controlling the spread of exotic invasive plants on nonprofit conservation lands are no different from what I recommend to homeowners and beginning gardeners. There are many tools to choose from, but the best tools to invest in should be of quality and durability. Hopefully, they will serve you for many years to come and will prove to be satisfying for your continued use for invasive-plant control and general garden maintenance around your home. Hand tools used by green-industry professionals are more expensive but prove to be worth the investment as compared to bargain-priced tools because they are made of higher quality materials and have been designed and tested for proper fit, long-term comfort, ease of use, and they can be repaired if broken. Some of you may have experienced the frustration of buying a gardening hand tool that breaks without warning after only limited use. Then, you’re stuck with the great difficulty of trying to buy replacement parts—a frequent no-win battle. There are several brand names of tools to choose from, and looks and price should not be your primary reason for purchasing. If you cannot decide which brand to buy or you are loyal to a particular brand, make sure that it has replacement parts. Lower-grade hand tools end up being “throw-away” tools once they break because the bolt needed for hand pruner repair or the saw blade that just snapped in half while pruning a dead limb can not be replaced at most hardware stores. The hardware outlets will suggest that you contact the manufacturer. To be fair, some manufacturers will help you, but it will take longer than an outlet that sells replacement parts in its catalog. There are several brands and models to fit your budget and needs. 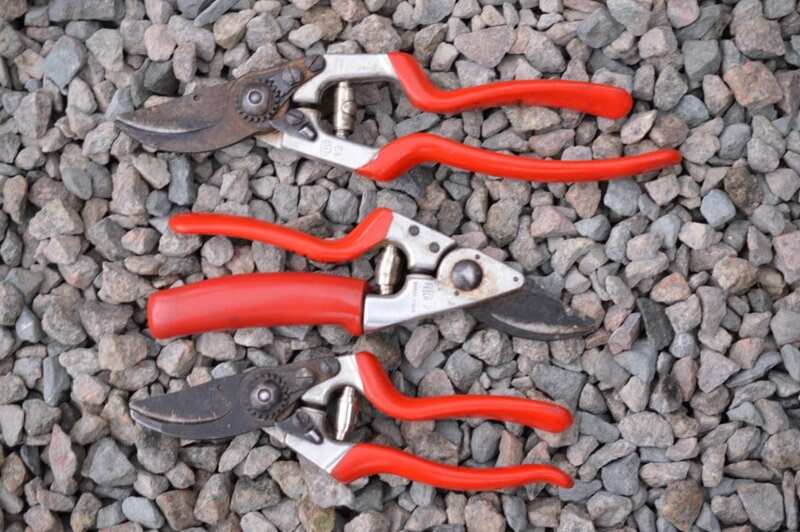 Hand pruners can cut woody vines, shrubs and branches up to one inch in diameter. Most professional ones are ergonomically designed for continuous use on a daily basis. I like the bypass cutting head (blade) design because it produces a sharper, cleaner cut on living plant material than the anvil cutting head, which is best for cutting dried-out wood or dead wood. I like Felco® because they have replacement parts and are ergonomically designed (see figure 1). For a well-made, less expensive brand, Corona® is excellent. I use both. 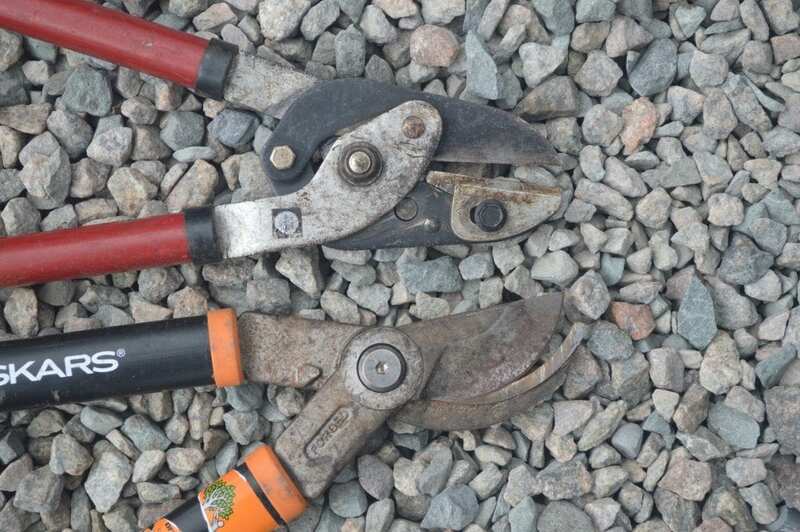 An extended handle pruner is called a “lopper.” The cutting head is larger and can accommodate larger diameter stems up to two-and-a-half inches depending on the size of the lopper. The long handles provide better cutting leverage on big stems than the short handles of hand pruners do. Both bypass and anvil cutting heads are available (see figures 2 and 3). If you only want to purchase only one lopper, I suggest the bypass head for pruning living material. The bypass also works fine for dead wood less than one inch in diameter. These arborist hand saws have saw teeth that are arranged to cut very effectively with fewer movements than saws that cut when you push the saw over wood. Depending on size, some are fixed-blade or non-folding, and some are folding saws that are easier to carry or place in your pocket when folded up back into the handle (figure 4). Mostly, I use the six-inch folding arborist saw for cutting dead limbs, shrub stems and any living plant material greater than one inch in diameter. Most of the professional quality saws will have replacement blades. This is very important because it is not uncommon to break or dull a blade with misuse. Most are ergonomically designed and are very efficient at cutting stems and limbs with ease. These are the saws that you see arborists and estate gardeners using on a regular basis. 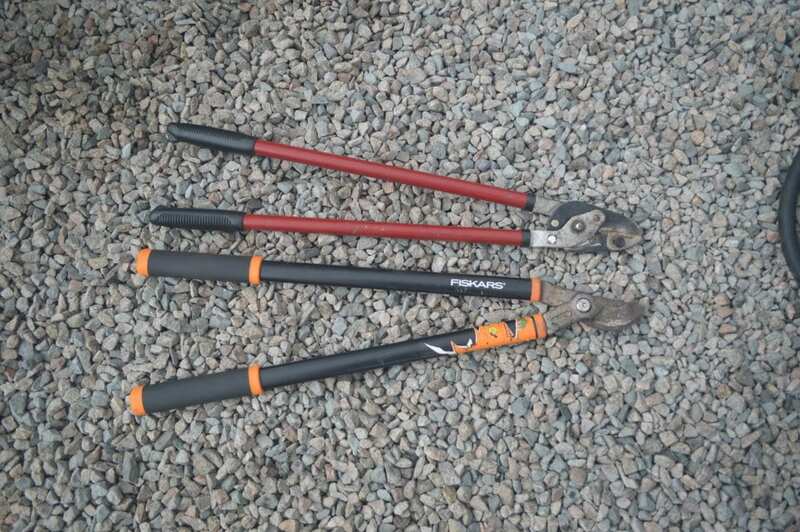 Most have brightly colored handles to assist the user at finding them if they are temporarily misplaced while working around the yard or in woodlands. 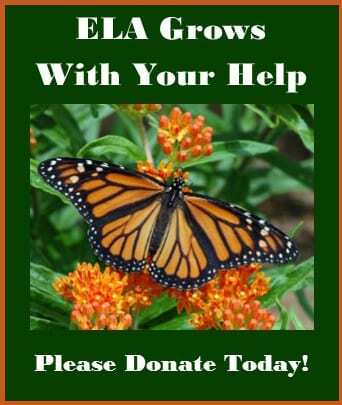 I use the orange-colored WeedWrench™, which, unfortunately, is not for sale anymore (see figure 5). If you have access to one, it is very efficient at pulling out woody plants up to two-and-a-half inches in diameter at ground level. 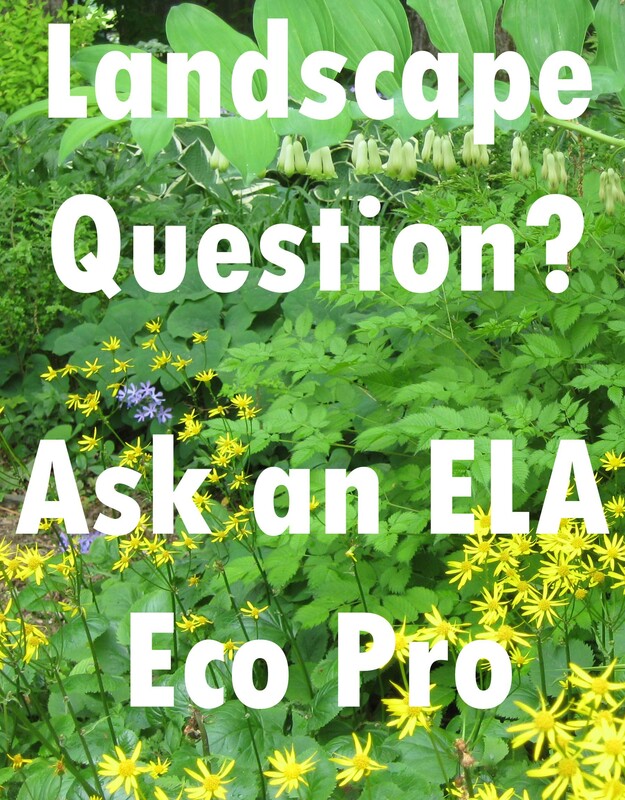 Members of the Ecological Landscape Alliance went to Cold Spring Park to demonstrate the WeedWrench™ and later reviewed it in a recent article: http://www.ecolandscaping.org/07/product-reviews/product-review-weed-wrench. There are two new plant-pulling devices on the market that can be bought in replacement of the WeedWrench™: one is called the EXTRACTIGATOR™, which is made in Canada. The www.extractigator.com website will have more information including pricing. The second one is made in Oregon and is very similar to the popular WeedWrench™ that many people in conservation work have used since the 1990s, and it’s called THE UPROOTER™. The UPROOTER™ is made very well and would be my first choice after having many years of experience using the WeedWrench™. Go to www. uprooter.com for more information including pricing. All of these devices use a plant-trunk-grabbing jaw mechanism to pull (via leverage) woody exotic invasive plants out of the ground with ease. 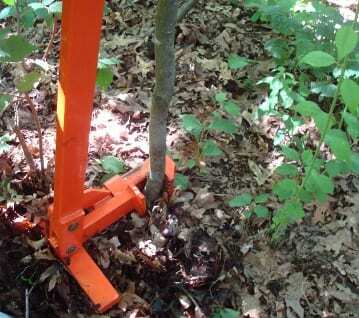 These devices are excellent tools for all single-stemmed woody plant removal. There is no need to use herbicides when using these devices successfully. They do not work effectively on Asiatic bittersweet vine (Celastrus orbiculatus) because the wood is soft and the vine growth habit is not straight enough to fit in the jaw mechanism (at least on large vines). They also do not work effectively on Japanese knotweed (Fallopia japonica) because it is a non-woody plant and the jaw will crush this herbaceous plant, breaking it, and—with leverage—will separate the crushed stem from the root, leaving the root mass in the ground. Vines, when small, are easily hand-pulled out of the ground, and Japanese knotweed can be dug out or mowed repeatedly for best control without using herbicides. Hedge shears are excellent for cutting small-diameter woody vines that are one half inch or less in diameter, such as Asiatic bittersweet, porcelain berry (Ampelopsis brevipedunculata) and black swallow-wort (Cynanchum louiseae), and non-woody invasive ground covers, such as goutweed (Aegopodium podagraria) and Japanese knotweed, to name a few. 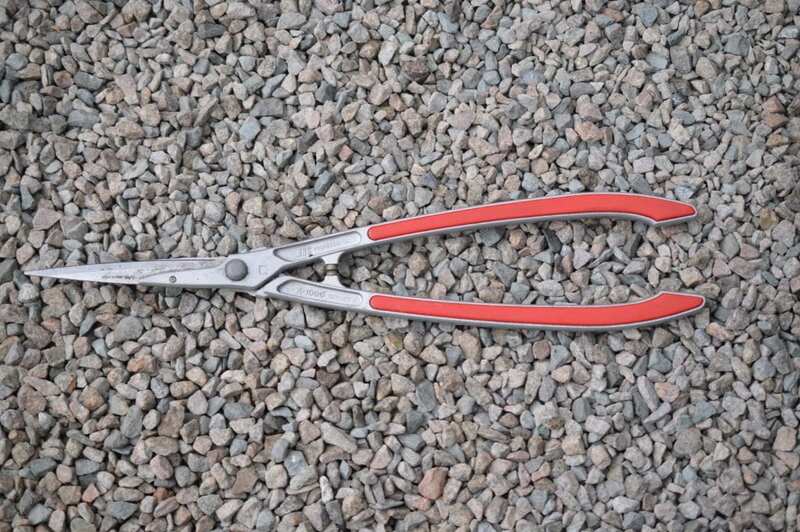 Hedge shears of professional quality are best bought by mail-order or at landscaping trade shows. 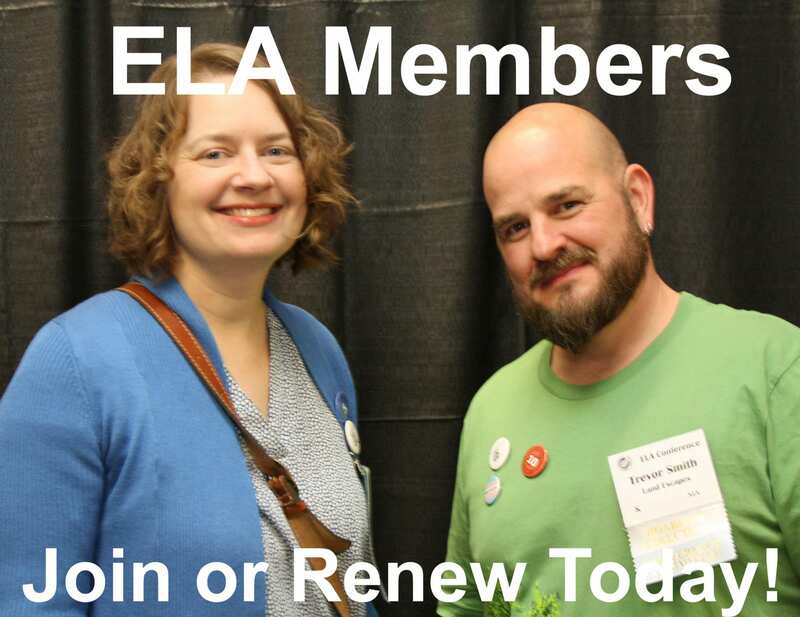 See resources below. I bring this up because hedge shears are frequently over-priced at most hardware stores and arborist outlets. The Barnel® brand (in figure 6) is under $60.00 in supply catalogs, but I paid $150.00 for this item at a local arborist supply store. Check around for prices before you buy. If you do not want to hand-pull herbaceous invasive plants like garlic mustard (Alliaria petiolata), goutweed or small woody vines, you can periodically cut them back effectively using hedge shears. Note: You can use a weed cutter with a double-edged blade on a long handle to swing at the weeds while walking.This tool will be less strenuous on your back. This heavy-duty hand tool is used for hard-to-pull invasive plants. A mattock is used for cutting roots and breaking up compacted soil and forcefully digging out deep roots. The mattock that I use has a cutting blade for roots on one side and a chopping blade for digging out soil on the other side. Check this tool out on the Forestry Supplier’s website. You can buy one at a local hardware store, too (see Figure 7). There are several brands of soil knives on the market, and all are very good. They are used for weeding, cutting through sod, cutting small roots of all kinds of plants, and they serve as effective trowels for planting various flowers and other small landscape plants. 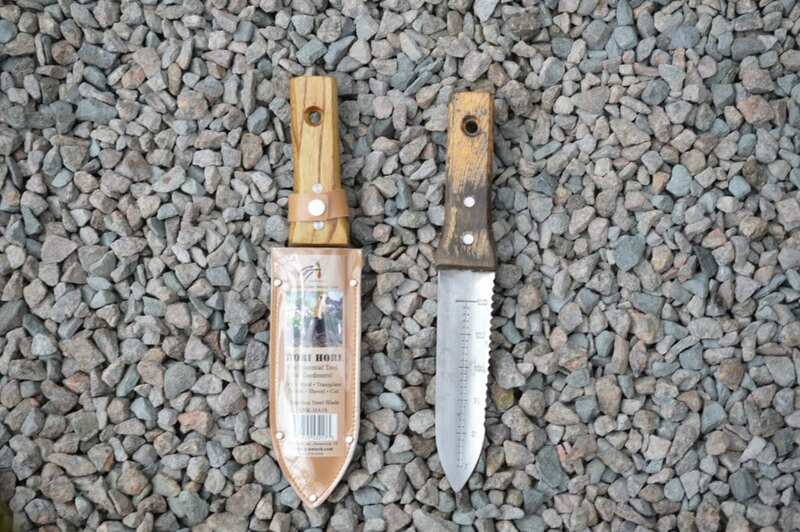 The soil knife that I use is called the ‘Hori-Hori Soil Knife,’ and it is from Japan. It has a serrated edge (see figure 8) for effective sod cutting, weeding and for cutting roots of woody and herbaceous plants. Soil knives are excellent for digging out herbaceous exotic invasive plants and/or cutting them to ground level as if using a machete. You will be on your knees a lot when using this tool, so invest in a kneeling pad to save your back and knees. 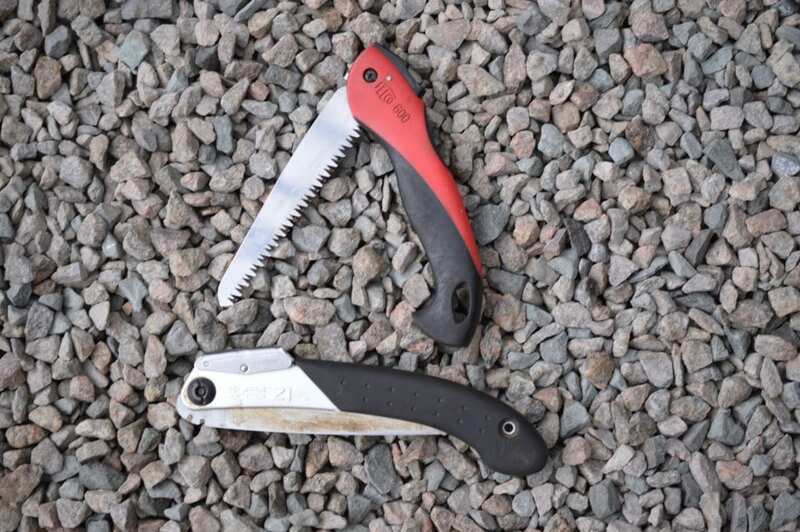 Soil knives are most effective in basic gardening tasks where invasive weeds are growing in close proximity to desired garden annuals and perennials. 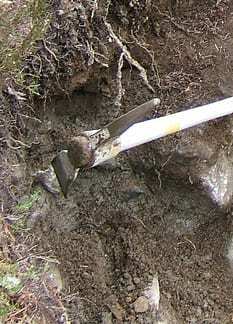 In this situation, the soil knife allows you to be more precise in weed extraction than a mattock or hand trowel would. For more information about the tools and brands I have presented, check the following mail order outlets. Both of these outfits have competitive prices for pruners, saws and soil knives and carry brands “proven in the industry” for professionals. 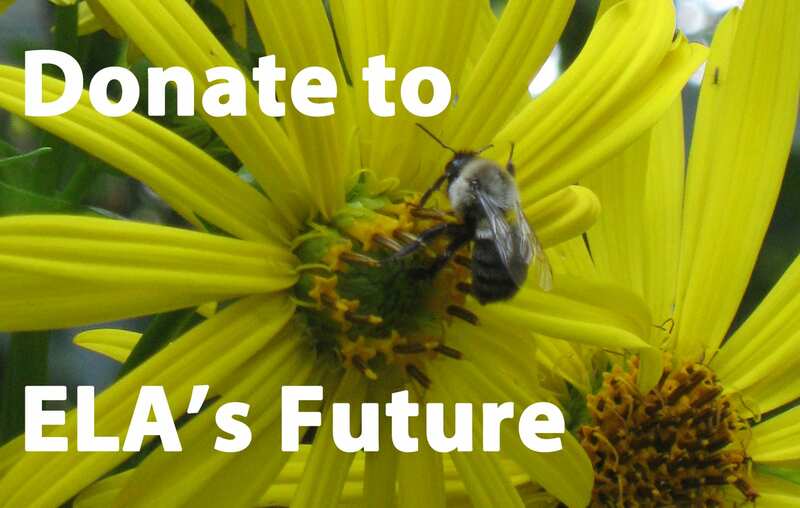 Bruce Wenning is the horticulturist at The Country Club, Brookline, MA and has served on the Ecological Landscape Alliance (formerly the Ecological Landscaping Association) Board of Directors for 13 years. Is There Hope for Growing Lilies in New England Again?